Jimmy Fallon shared a cute family photo from his family vacation! 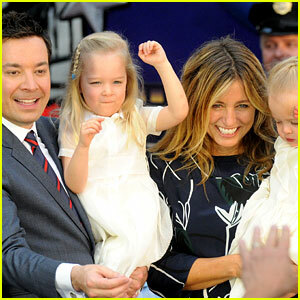 The photo featured Jimmy, his wife Nancy Juvonen, and their two daughters Winnie Rose Fallon, 5, and Frances Cole Fallon, 4. “I always thought bowling shoes were a little gross – then I met the wet suit rental program. #swimmingwithdolphins🐬 #bahamas,” Jimmy captioned the cute family pic. Jimmy tagged the location as Dolphin Cay, Atlantis, Bahamas, which is, of course, in the Caribbean. We hope the family has a wonderful vacation together! Jimmy Fallon Brings His Wife & Kids to Ride Opening at Universal Orlando! Jimmy Fallon is joined by his family while attending the grand opening of the new Universal Orlando attraction, “Race Through New York Starring Jimmy Fallon,” on Thursday (April 6) in Orlando, Fla. The 42-year-old late night host was supported by his wife Nancy Juvonen and their daughters Winnie and Frances at the exciting event. The Tonight Show has been filming at Universal Studios all week in celebration of the ride’s grand opening. “Just got @blakeshelton to ride the #FallonRide at Universal. He loved it! (I think.) watch the show tonight – we filmed the whole thing,” Jimmy tweeted earlier in the week. Watch the video of them on the ride below! 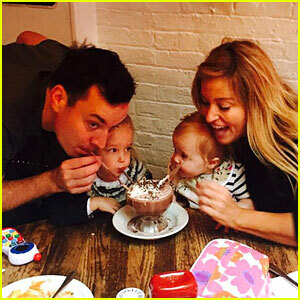 Jimmy Fallon has shared a super cute photo of his family starting a new holiday tradition – drinking frozen hot chocolate at New York City staple Serendipity 3! The 41-year-old talk show host is pictured alongside his wife Nancy Juvonen and their daughters Winnie, 2, and Frances, 12 months. “Thank you to the nicest people at Serendipity 3!!! Starting a new family tradition. #FrozenHotChocolate,” Jimmy captioned the photo on Instagram. You can also see some of the cute photos that Jimmy shared of his daughters in recent months in the gallery below. 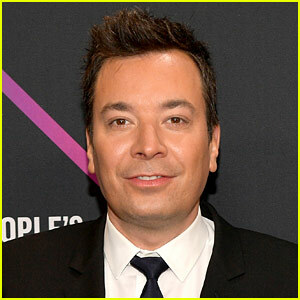 Jimmy Fallon Debuts Newborn Baby Daughter Frances - See Her First Photos! 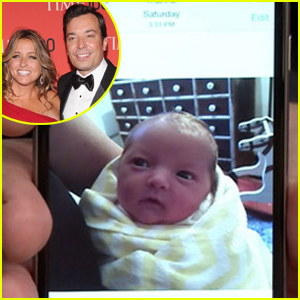 Jimmy Fallon shared the first pictures of his adorable newborn daughter Frances Cole Fallon and she is so adorable! The 40-year-old late night host talked about his family on The Tonight Show last night for the first time since welcoming the baby. Jimmy and his wife Nancy also have another daughter named Winnie, 1. Check out the pics he shared below!